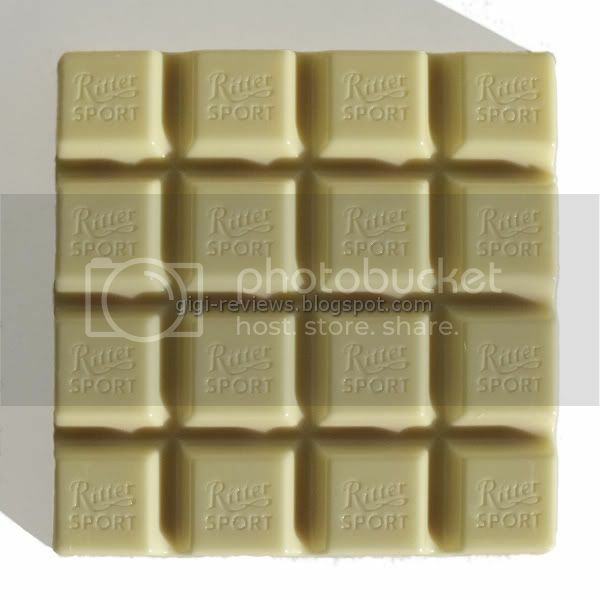 Yes, I know this is a white chocolate bar. And yes, I know I have shouted from the cyber mountaintops my hatred of white chocolate. (Wait...do we actually still use the term "cyber" anything?) But...but, but, but...people, there's raspberry yogurt here! Raspberry yogurt! My love of raspberry yogurt is strong enough to push aside my dislike of white chocolate, at least for a moment. And in addition to the raspberry yogurt, there is also also crispy rice. Which is less important to me than the raspberry yogurt, but it's a nice extra touch. 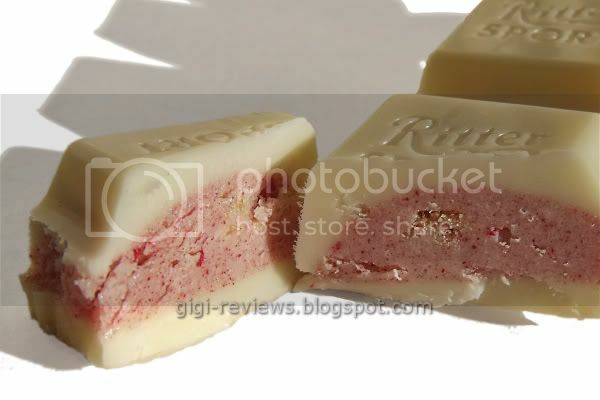 I will give Ritter points for making a white chocolate that even I found enjoyable. It's very smooth, and while it's distinctly creamy it avoids being oily or tooth-achingly sweet. Would I have preferred a milk chocolate? Well yes, but no one asked me, and to be fair I would rate this as my favorite white chocolate so far. The star of this show is the raspberry yogurt filling. I wouldn't call it a natural flavor. It's more like a really good fake version. It's tart, but I credit that more to the yogurt than the raspberry it is mixed with. It's not an overly strong flavor, and maybe that's for the better. I have a feeling that if it were stronger, the fakeness would become overwhelming. As much as I liked the raspberry yogurt filling, my favorite part turned out to be the crispy rice. The rice itself really didn't have much of a flavor. Instead, it seemed to absorb the flavors of the raspberry and the yogurt. It reminded me of little bits of Fruity Pebbles cereal. 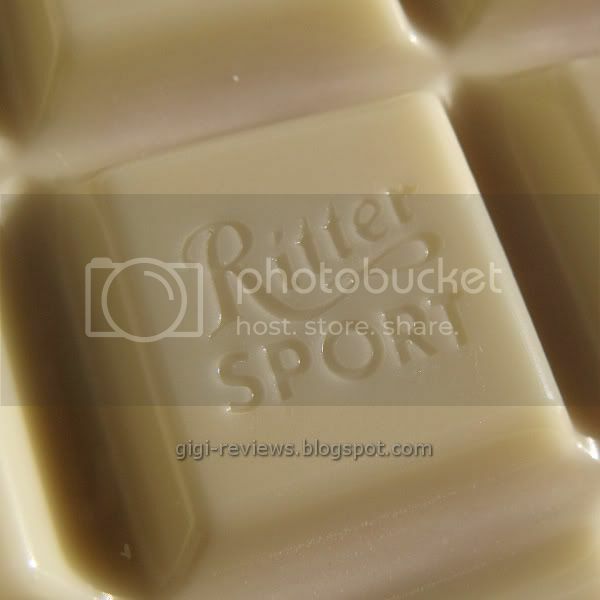 Given that the bar has white chocolate, I was really surprised at how much I liked it. Yet I did. This is one of those bars that is easy to down in an embarrassingly short period of time. 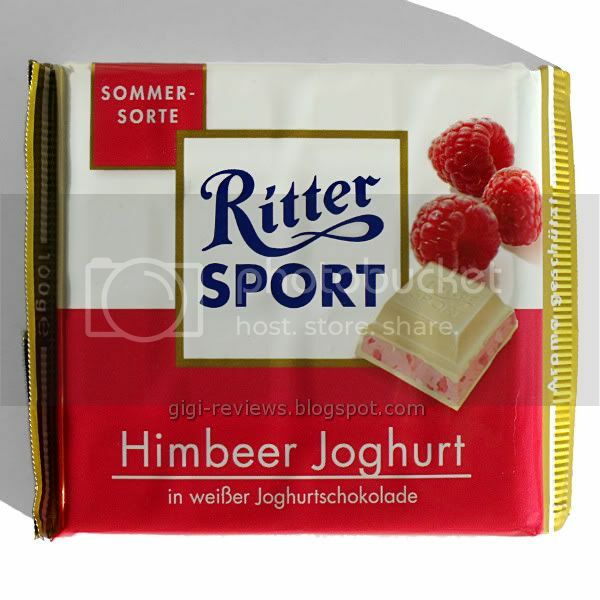 I love, love, love, love the Ritter Sport Joghurt bar. This one looks appealing as well, though I share your disinterest in white chocolate.